Today I went to lunch and when I got back home there was a box waiting for me. 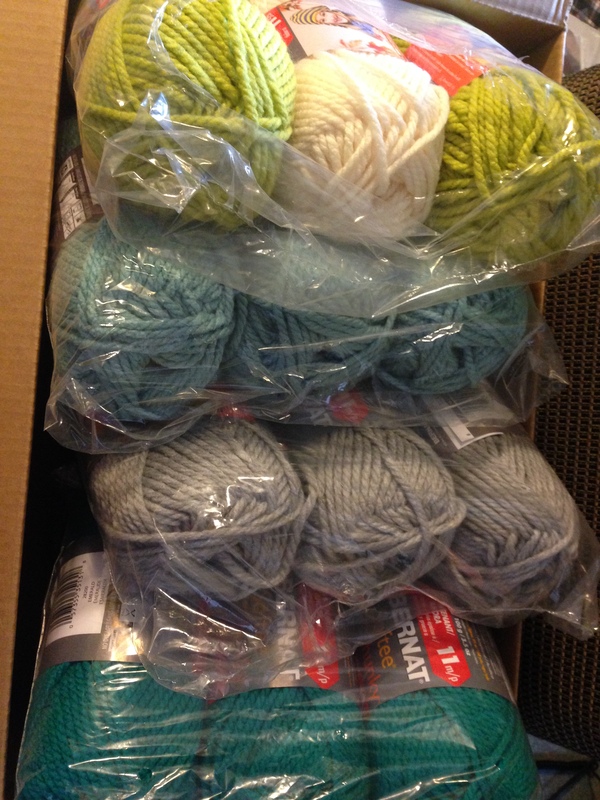 I got a little excited and pulled all the yarn out of the box. 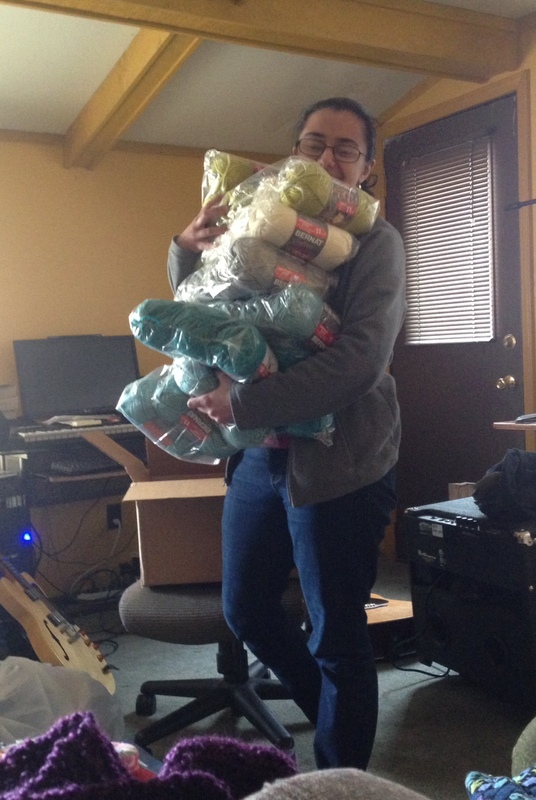 There was a lot more than I thought, 24 skeins in all in 5 different colors. I can’t wait to start knitting this blanket. It starts on February 10th if you want to knit-along.